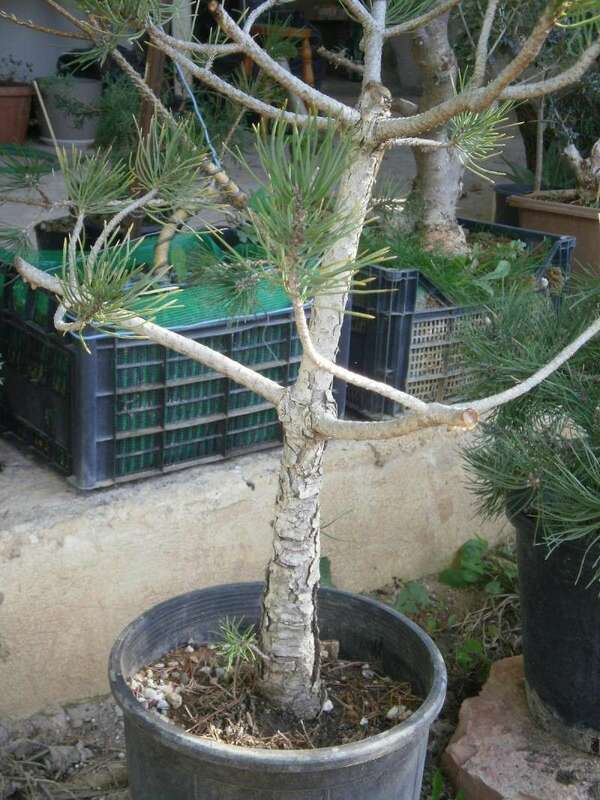 Could someone tell me if you have tried the technique that use the Japanese on pines winding wire on the trunk and leaving it there in order the trunk get twisted form? And if yes, what is the right period and on how old tress? What you describe would not twist the trunk. It would cause it to bulge, eventually rolling over and embedding the wire withing itself. It's shape would still be that which it was before, except that you would now have ugly scars to deal with for many, many years before they faded enough to be overlooked. However, they never go completely away. It's true that some Japanese growers use this technique, but it's to induce fast growth. Not for twisting. Hello Lazaros. 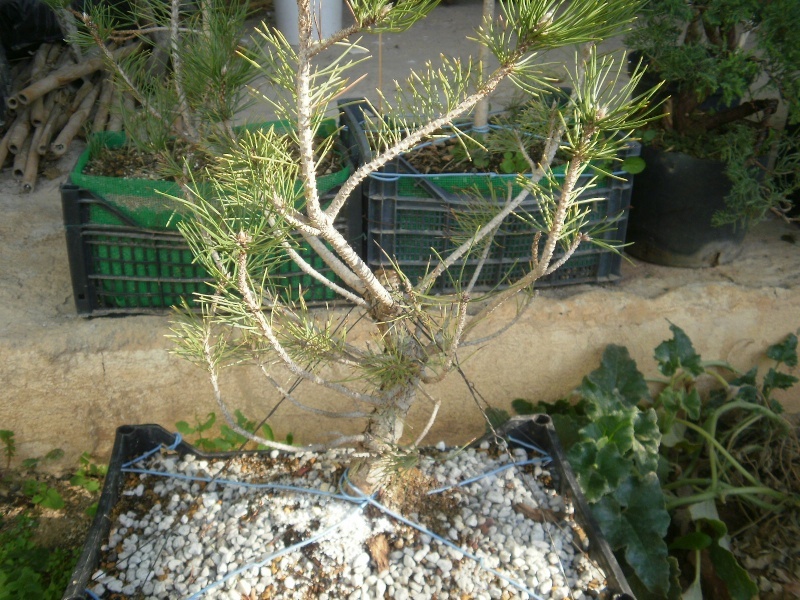 For quickest results, wire should be applied to Pines in the ground or large training boxes. Two or three large wires applied so they are next to each other to gain a wide shari and not in a parallel helix. Parallel Helix will look unnatural, so vary it. Leave the wire on so that a callous forms on the sides of the wire, almost to the point that the wire starts to be covered. Remove the wire and the tissue undeneath should be dead or at least extremely weak. Remove the tissue underneath and seal the sides with cut paste as a precaution. That's interesting Will. And a twisting shari can be created this way? I never heard of it before. Thanks for sharing. In that case, Lazaros, disregard my post about it not working. I guess it would if not left on too long. Makes sense. Hello Ed. I have seen this same technique used to create deadwood helix on Junipers as well. Making them look convicing is the difficult bit. I would think that a major problem in making the resulting shari look real is to NOT wire evenly like we try to do when bending branches (wire evenly spaced all the way up the trunk) but to have the wire have different size gaps between revolutions. I have a shohin JBP that I bought a couple of years ago. They did this wire thing on it. Of course by now the wire has long disappeared and the trunk is sort of gnarly. Only problem is that now there is some inverse taper near the bottom. I wish they hadn't done it. First of all a great thanks to all of you , Ed , Will , Jim and of course bonsaisr. 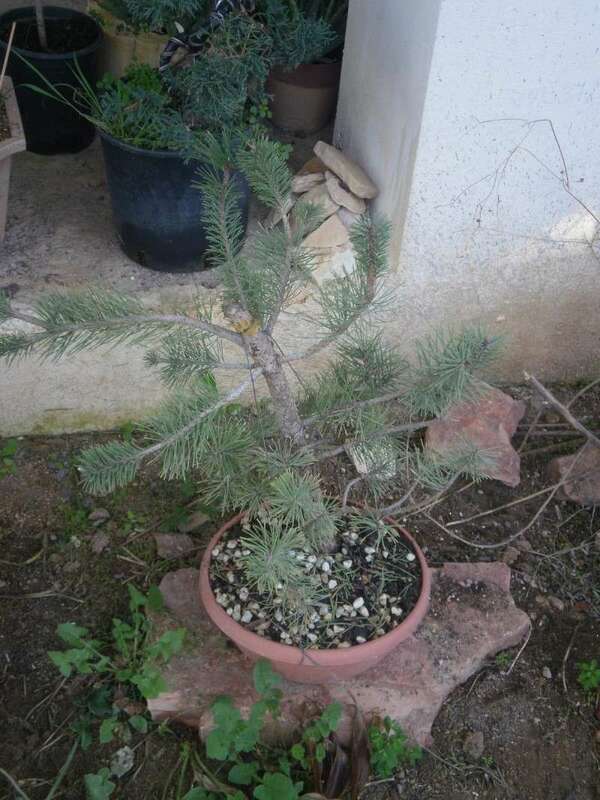 Will for me, the pine is a relatively new species, so I bought 8 black pine trees other smaller and other bigger in order to do my first steps. 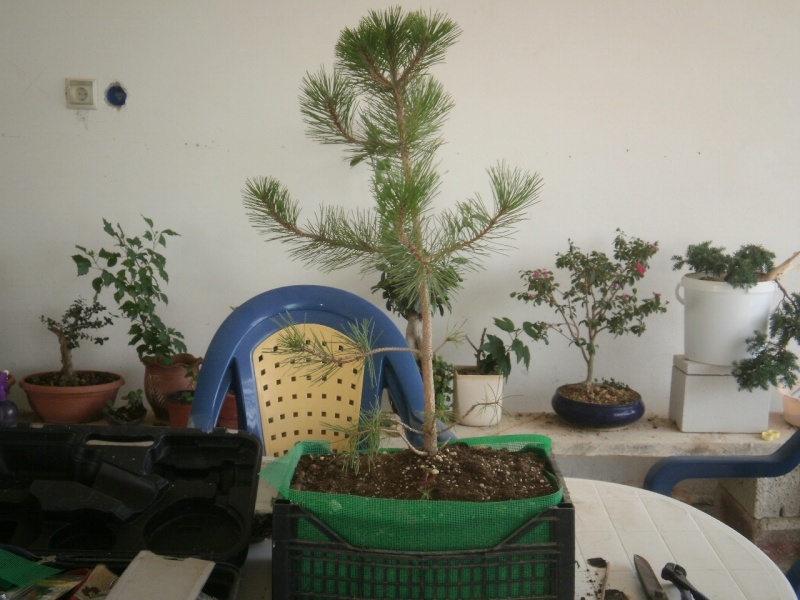 As in any decent Bonsai, the most important is the trunk, so seeing the techniques that I mentioned in my question I thought I could apply it to one of the newer trees. I decided it would be easier to do on a tree with several newer more flexible trunk yet in some it was more rapid growth but also would close the wounds more quickly. So my thinking is as follows, first wired the trunk in order to give him movement, and the next year to implement the wires parallel to each other and again at 45-degree angle, but how can i do that if i don't make a helix? JimLewis wrote: I would think that a major problem in making the resulting shari look real is to NOT wire evenly like we try to do when bending branches (wire evenly spaced all the way up the trunk) but to have the wire have different size gaps between revolutions. Yes Jim. If you read my original post, I may have said this. Hombre wrote: Take a look. Lazaros,then you should be prepared to "live" with those ugly scars, waiting for a loooong time until they simply disguise themselves..., because they will never disappear. Would you really like the unnatural outcome, I wonder! The wire removed in this video ( 6min 30 sec) was over the bark and not under as suggested. That sounds really sarcastic Jim, but no probs.